These two plants look a lot alike, but when you grow them they sure aren't the same. 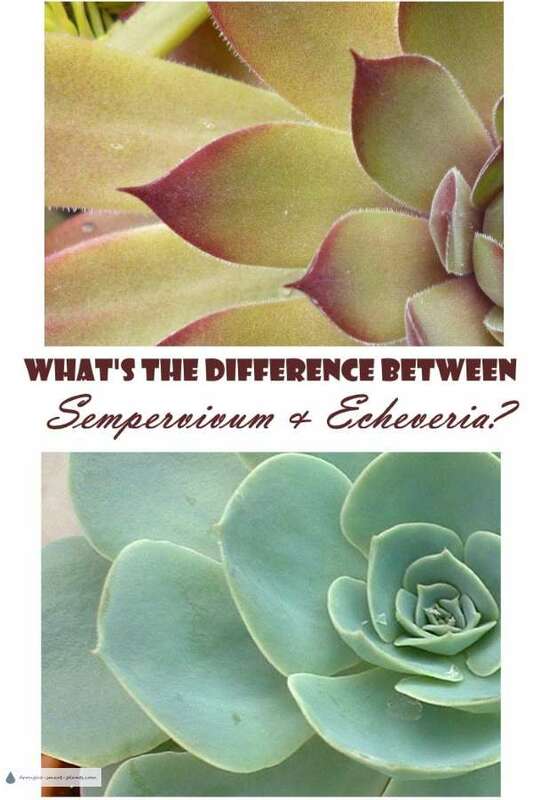 There are a few crucial differences between Sempervivum and Echeveria. They may look alike, and in fact they are related, but they have such unique needs that they may as well come from different planets. One is hardy, and prefers cold weather, especially as the seasons change into winter. Sempervivum are so tough that they actually need a cold dormancy where the temperature falls well below what's comfortable for us. Fall, when the nights are getting cooler, is when they show off the amazing colors. Red edges, or plummy centers, deeper coloration or even 'watermarks' are some of the main events to look for. 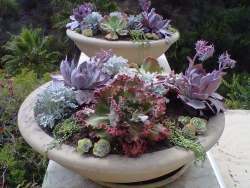 On the other hand, there is Echeveria. This is a huge genus, with lots of great plants to choose from - but they're referred to as 'tender' or 'soft', not because they're wimpy, but because they don't like cold at all. Their natural habitat is warm all year, and mostly dry. 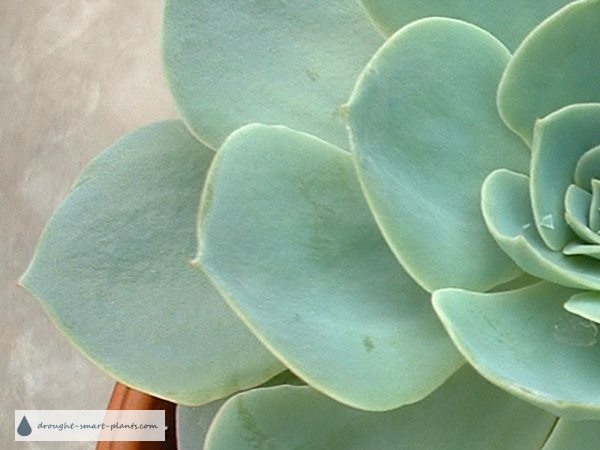 They do best as house plants or in a forced warm dormancy to be happy for the winter. Another important difference is the edges of the leaves. This will tell you the difference, along with some other clues. 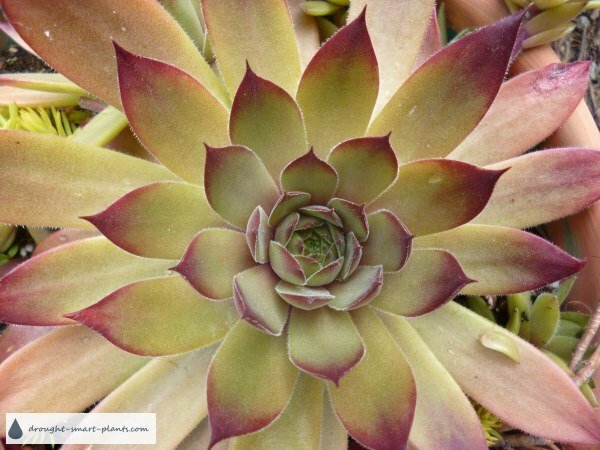 If you're not certain if what you have is a Sempervivum or an Echeveria, use this as one characteristic to give you a hint. Sempervivum usually have tiny teeth, like a comb, along the edges of the leaves. 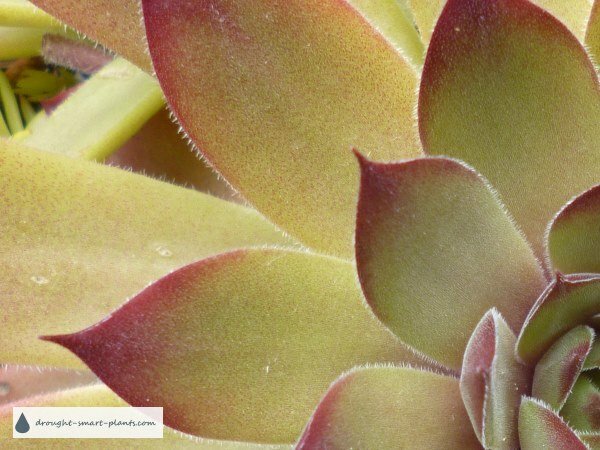 In Echeveria, the edges of the leaves are smooth. So, smooth Echeveria, toothed Sempervivum. In most cases, this is obvious with the naked eye, but sometimes it takes a magnifying glass - or, take a picture with your camera, as closely as you can, and then look at the picture in a larger size. Another major difference in these two plants is their flowering habit. 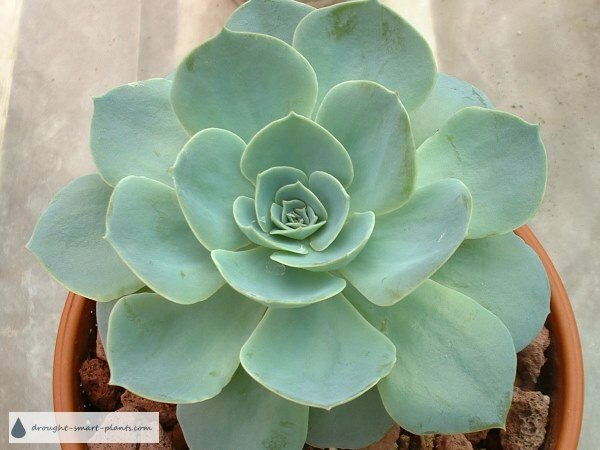 Echeveria are perennial, flowering every year, with a long stem emerging from close to the center of the plant, which grows, flowers, and then the stem dies, but the plant survives to bloom another year. 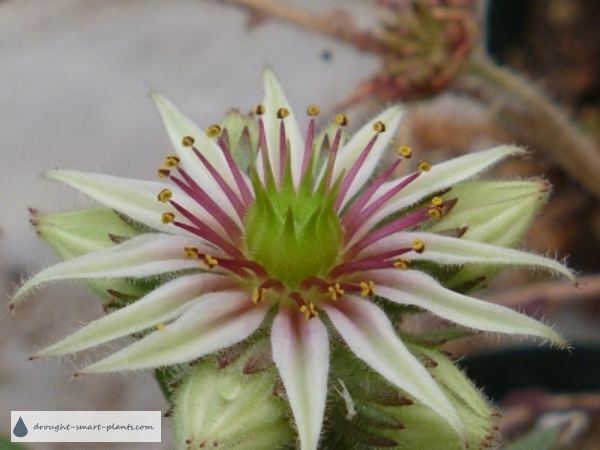 Sempervivum, when a 'hen' blooms, will die after the flower ripens. This, along with the difference in the flowers themselves, is a definitive trait. Sempervivum and Echeveria both produce chicks or pups to varying degrees, so this isn't necessarily a definitive characteristic for identification. 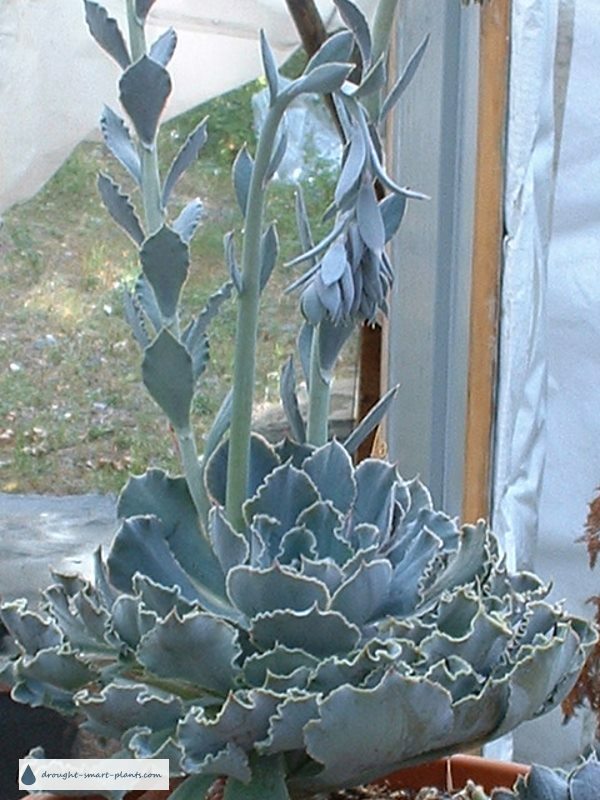 Echeveria flower on a tall stem, with many dangling bell shaped blooms. Usually these open in sequence over a long period of several weeks. Once the flowers fade (or seeds are produced) the stem can be cut off right at the base.